The World Bank on Monday announced 200 billion dollars towards climate action investment for 2021-2025 as nations gather for United Nation’s annual climate change conference in Poland, AFP reports. Representatives from nearly 200 nations have converged in Poland’s Katowice on Sunday for the United Nations’ annual climate change conference. 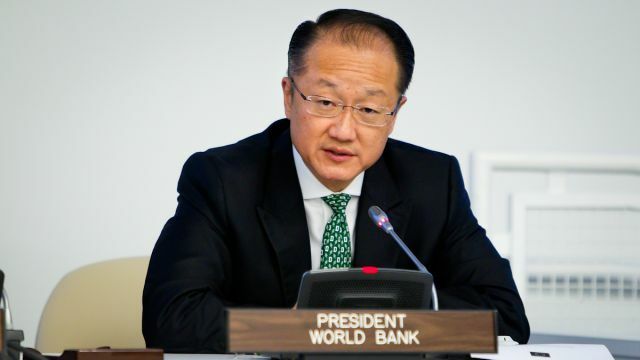 “Climate change is an existential threat to the world’s poorest and most vulnerable,” said World Bank Group President Jim Yong Kim in a statement. The World Bank said the 200 billion dollars would comprise approximately $100 billion in direct finance from the bank and the remaining funding will come from two World Bank Group agencies and private capital “mobilised by the World Bank Group”. “If we don’t reduce emissions and build adaptation now, we’ll have 100 million more people living in poverty by 2030,” World Bank Senior Director for Climate Change John Roome told AFP. The United Nations Climate Change Conference or COP 24 is a two-week conference to define how the 2015 Paris Agreement will be implemented by its signatories.